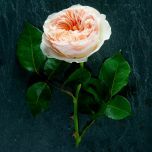 Beautiful David Austin Rose Bouquet showcasing apricot roses with English Sweet Peas. Please note the size of the bouquet shown is the picture is Deluxe. Sizes available in this bouquet are: Small (9 Roses), Medium (14 Roses), Deluxe (24 Roses). 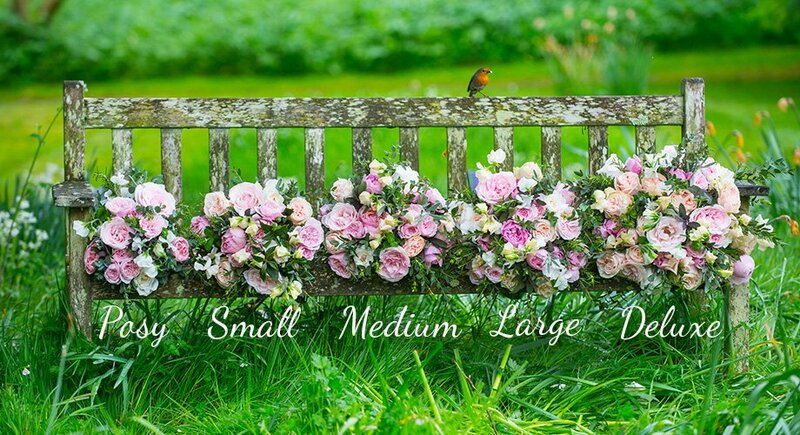 Please select you bouquet size above.